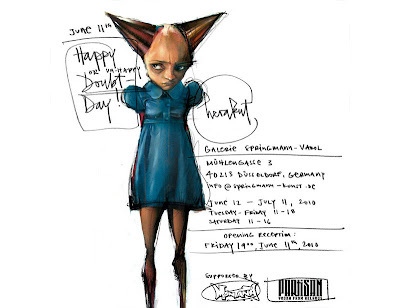 The dynamic art duo »Herakut« proudly present »Happy Doubt Day!« at Düsseldorf's (Germany) Springmann Varol gallery, Friday the 11th of June. The art exhibit features 20+ new canvas paintings, wood pieces, sculptures and additional installations, showcasing Herakut’s unique, intensely original output.German artists Hera and Akut have been operating under the name of »Herakut« since 2004, when they began producing collaborative pieces in the burgeoning urban art scene. 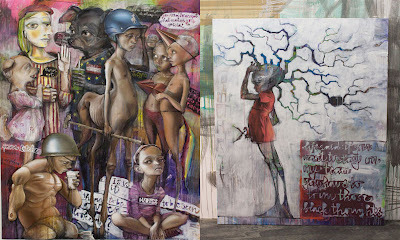 The visual and textual content of their work is an insightful expression of their generation's mental state. Much of their subject matter involves narrative and character studies involving multilayered textual explorations. 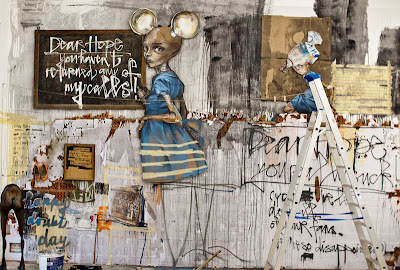 herakut are masters of creating independent, self-contained worlds full of melancholy and profound humor. And in doing so, they see themselves as a part of an overall cultural movement, without any artistic barriers between a wide array of mediums, be it drawing, text, music or film. 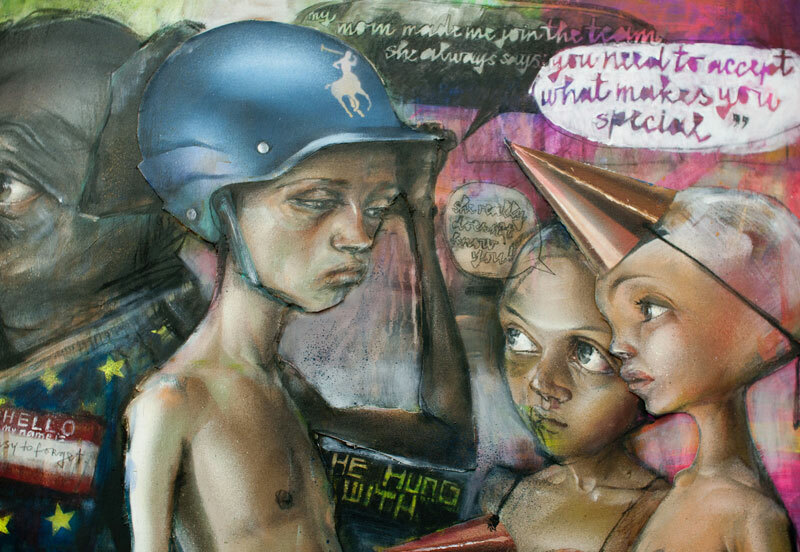 Through the strength of their work, coupled with the demand for their style, herakut have moved beyond producing strictly »Street Art«, and are now regarded as some of the most exciting contemporary artists of our time. 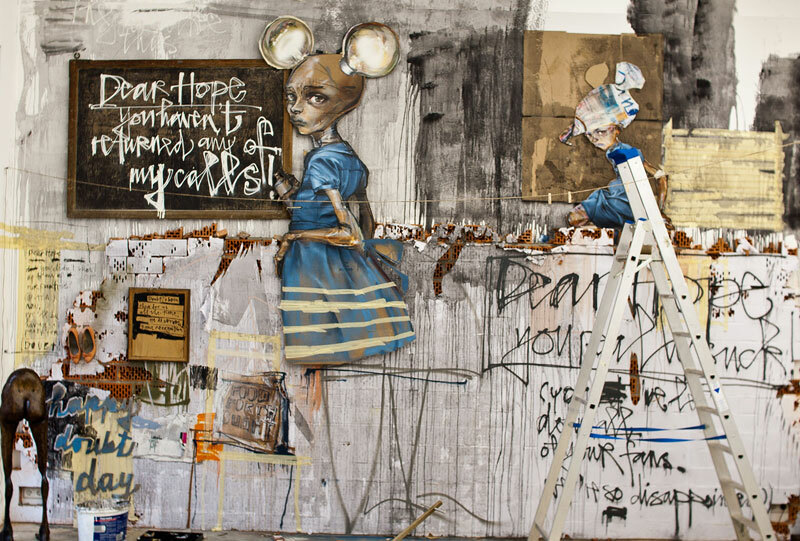 Yet they have maintained the respect of the street art community, and they reciprocate that respect by continuing to create with spray cans, even as their artistic sphere of operation has grown to include interior spaces. 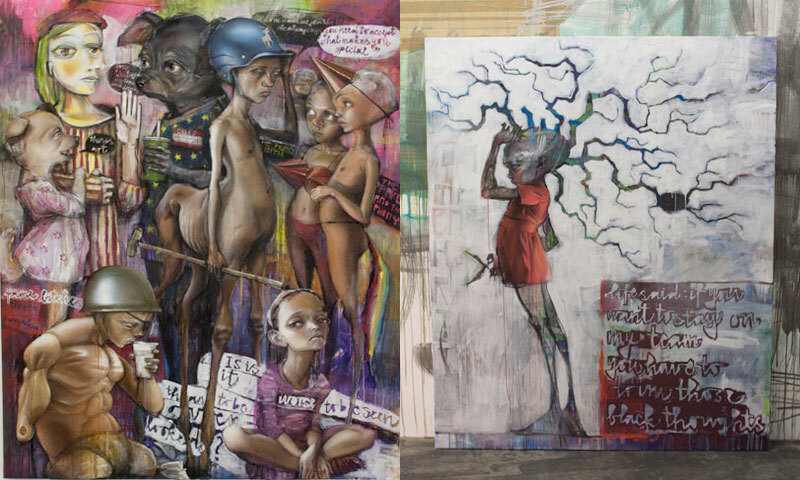 Herakut’s figurative and oftentimes photo-realistic paintings evolve out of a mixing technique on several image carriers, combining canvas, wood and/or paper. They also create collages and large scale, room filling installations. 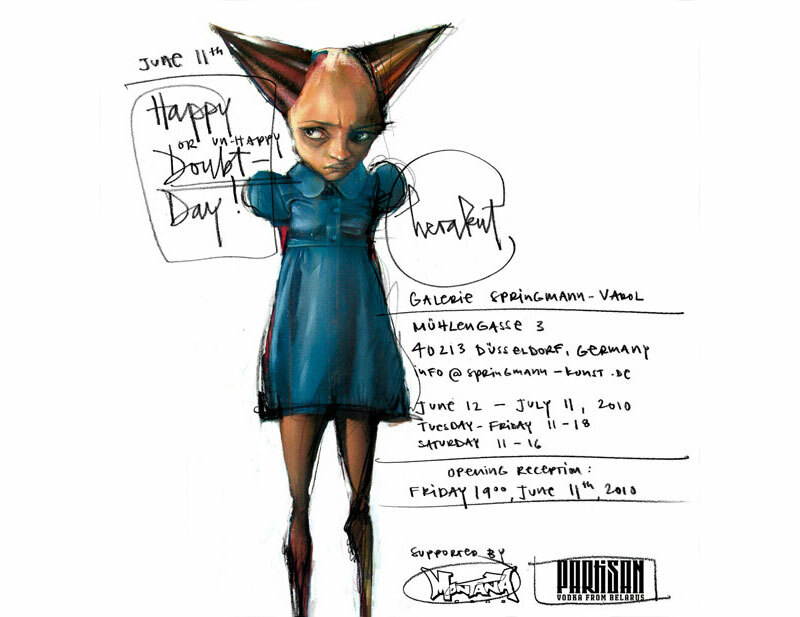 Herakut live and work in Munich and Frankfurt.